I had started to think, that after five years of compiling this rubbish, that I would run out of material to bring you. Luckily people like Ross Hamilton would chip in with the occasional track, or remind me of any howling omissions – as he did when he emailed me recently to draw to my attention that I still had not posted any Mrs Miller recordings (don’t worry, I will!). Still, I had worried that there may be a finite life to this blog. But then Mick Dillingham got in touch. Mick, for those of you who don’t know, is a music writer, record collector and was co-compiler (along with Nick Saloman of the Bevis Frond) of the essential Music for Mentalists, a 33-track CD of obscure and bizarre music which includes several tracks – such as Dance With Me by ReginaldBosanquet and Together in Iceland by Mavin James – that I have previously featured here. Since his first email, which supplied the tracks here today, Mick has sent me a slew of great material, much of which I was unaware of and some of which has me laughing fit to burst. I’m enormously grateful to Mick for providing such a bounty and you’ll be hearing some of those tracks over the coming weeks and months, but first – and certainly most importantly – he has kindly supplied us with the second Mavin James single. And what a corker it is (pun very much intended). 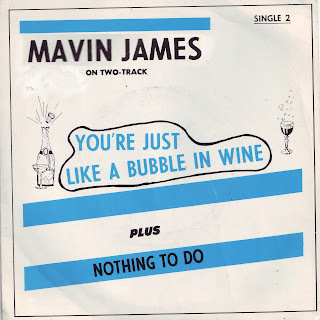 If you thought that Mavin’s He-Be – Har-Be was overproduced and would prefer something more akin to My Dad you’re in for a real treat: You’re Just Like a Bubble in Wine is a low-fi, two-track delight. 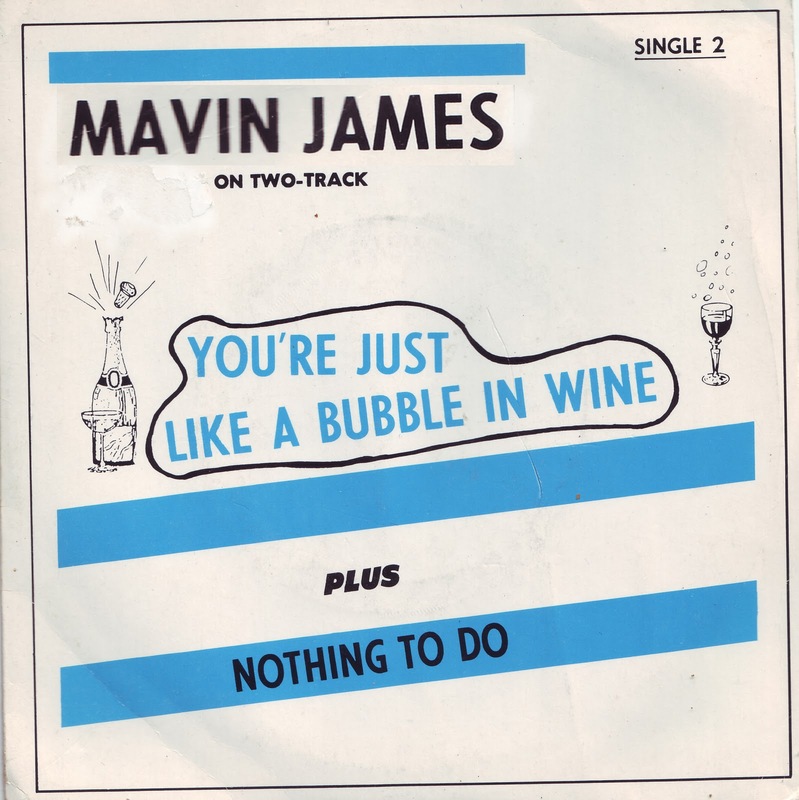 According to the sleeve notes ‘Single 2, which might be considered to be amongst the best two-track recordings made, was recorded without mixing facilities and Mavin was only able to achieve this high standard of work as a result of continual practice’. Priceless. Of its B-side Nothing to Do, another understated low-fi gem, the notes proclaim that Mavin ‘tends to sing in those moments in life when all appears lost.’ Says Mick of his find: "If the first single is his Trout Mask Replica and the third single his Sgt Pepper then this single is his Frampton Comes Alive..."
I’m still trying to track down more info about Mavin; perhaps there was a fourth single? Maybe somewhere in Rochester there’s a box containing the tapes of his unreleased album? Unfortunately what was once the home of Havasong Records, Mavin’s company, is now a car park. Perhaps we’ll never know anything more about the enigmatic Mr James. But at least we have these six sides. 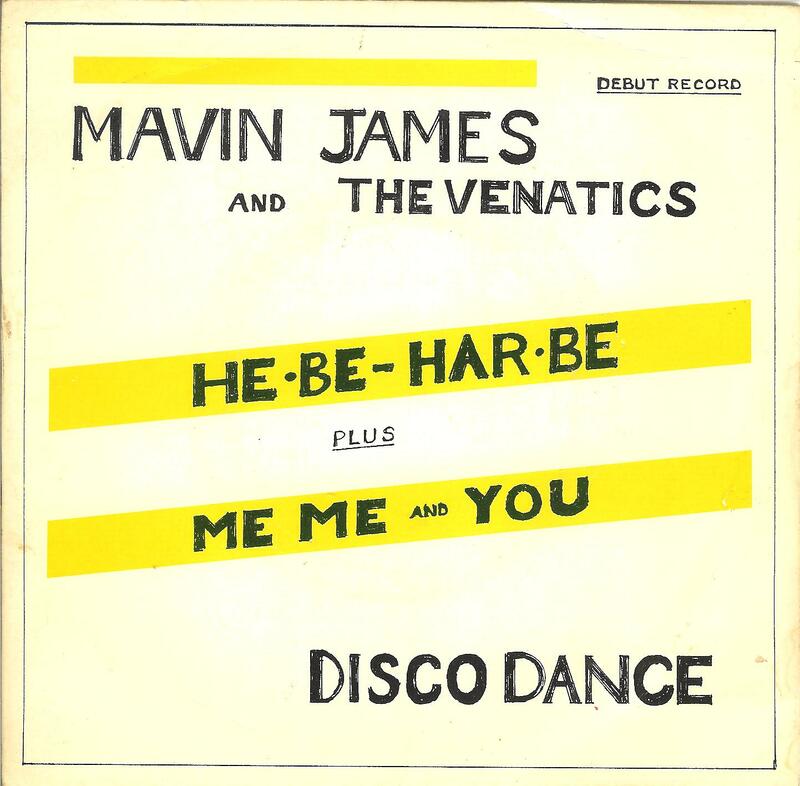 A real treat for you all today: the debut single by our very own Mavin James. If you thought Together In Iceland was strange have a listen to both sides of this utterly peculiar record and wonder. For these tracks Mavin is joined by the Venatics (aka Russ, Joan and Neill). I’m assuming these three people are related to Mavin in some way – perhaps his long-suffering wife and two adult children? You can almost hear them cringing with embarrassment as they sing the lines of He-Be – Har-Be (All Join In), described on the label as a ‘disco/dance’. 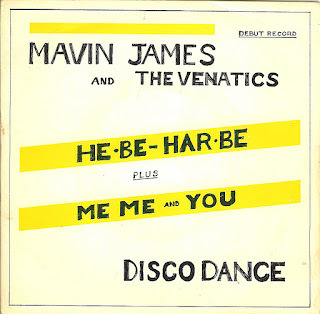 Released on Mavin's own Havasong label, I love the way that he has stolen its chorus from the Salvation Army’s battle cry, and the two-note trombone solo is a thing of pure joy, reminiscent in some way of the guitar solo on the Buzzcock’s Boredom – itself appropriated by Edwin Collins for the Orange Juice classic Rip It Up. Its flip Me-Me and You (a ‘disco/ballad’ apparently) is a sweet little love song with some nicely atmospheric guitar touches. But disco it ain’t. Mavin James was born and at the age of only 2 years following the positioning of his high chair near the piano, soon found he could master the theories of music. Within a very short time original melodies were flowing from his toes and his future seemed assured. However the advent of shoes ruined this promising career and he was a has-been at the age of 2½. Later in his life having found that fingers play better than toes he continued to play piano but eventually settled on playing the organ to the consternation of his family and friends. 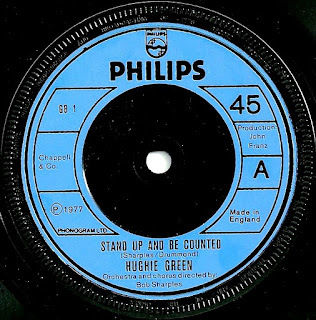 Discounting the first 50 tries which didn’t really count he sat down to write and play his debut record and at first try completed he-Be – Har-Be, Immediately following up with his disco ballad me-Me and You, which is particularly suitable for close dancing when you’re in a don’t care mood. 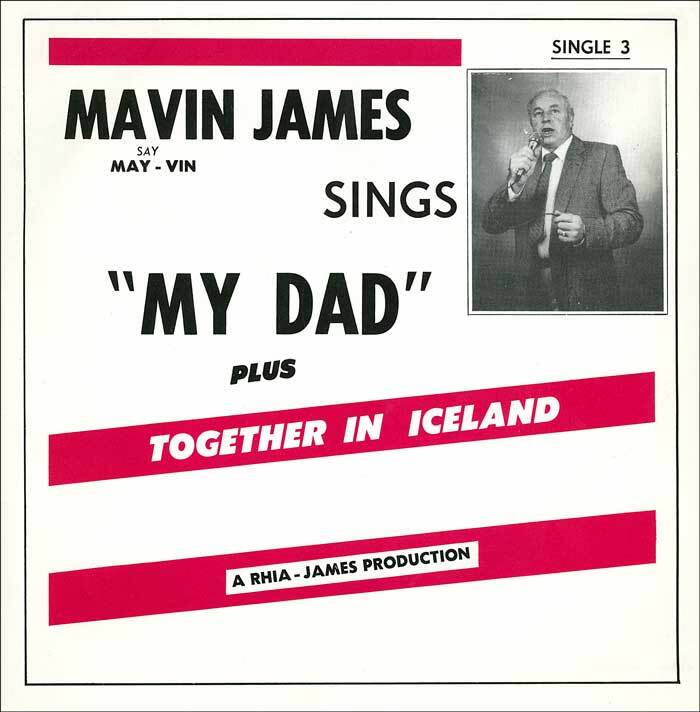 Somewhere between the brilliant He-Be – Har-Be/Me-Me and You and the even more wonderful My Dad/Together in Iceland is a second Mavin James single. I’ve yet to track it down, but the hunt is on. 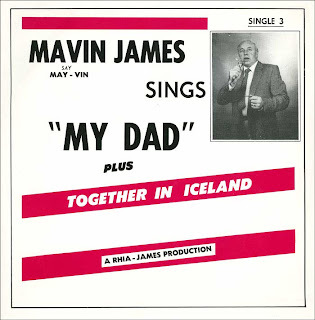 Just a quickie: a couple of WWR followers have contacted me to let me know that the Mavin James tracks My Dad and Together in Iceland were not working. Well, they should be now. If you notice any other links misbehaving do let me know and I'll fix them too. Incidentally, I'm aware that many of the old Rapidshare links are now defunct; if there are any tracks you're particularly after let me know and I'll repost. What a peculiar record. Recorded by the otherwise-unheard of Laurie and released in the UK by Decca records in June 1966 the original version of I Love Onions, by folk singer Susan Christie, barely scraped the US charts (peaking at 63) but somehow made number 6 in Canada. 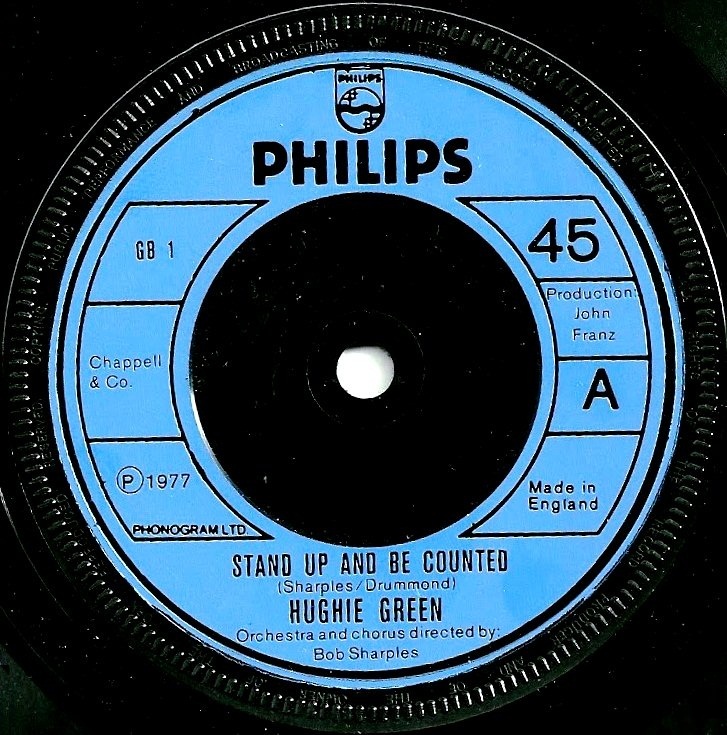 Laurie’s version – a carbon copy of the original - was featured heavily by Kenney Everett on pirate station Radio London, and made Big L’s Top 40 (just) although neither this nor Laurie’s other known disc troubled the main UK charts. I can’t tell you much about Laurie, apart from the fact that she also released an earlier Decca 45, He Understands Me/Fools Will Never Learn, in March 1966 (F12347 – a number of test pressings as well as stock copies exist). Both were produced by Noel Walker, an extraordinary man responsible for a number of unusual hit records, including Whistling Jack Smith’s top 5 hit I Was Kaiser Bill’s Batman, Amen Corner’s Bend Me, Shape Me and waxings by the Big Three, the Fortunes, Ron Grainer, Cat Stevens and countless others. The Kaiser Bill story is a complicated one: Walker is widely believed to be the performer, although Whistling Jack’s true identity is unknown - he could simply be one of the many members of the Mike Sammes Singers, the uncredited group who back up the lead whistler on the single. Coby Wells, aka Billy Moeller, was used by Deram, the Decca subsidiary that released the single, to ‘front’ later releases and TV appearances but he was recruited after the initial single was recorded and in his TV appearances simply lip-syncs (or whistle-syncs) to the track; John O'Neill, who whistled the main theme to the Spaghetti Western The Good, the Bad and the Ugly, is also occasionally cited as the original performer. 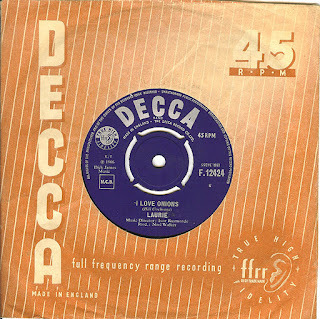 The music director on I Love Onions was Ivor Raymonde, grabbing a credit here for doing absolutely bog all – he’s simply recreated the Susan Christie arrangement note for note, including the breathy vocals, the kazoo and the backing chorus. Ivor often worked together with Noel Walker, but today is best remembered as the co-author and arranger of several Dusty Springfield tracks, including her breakthrough solo hit I Only Want to Be with You. He has also worked with artists as diverse as Anne Shelton, Ian Dury, Frankie Vaughan, Julio Iglesias, and the late Edward Woodward. After working as a musical arranger at the BBC, Ivor became a producer at Philips, working with Marty Wilde and with folk trio the Springfields. When Dusty decided to go solo in 1963 Ivor offered her a tune he'd written with lyricist Mike Hawker: I Only Want to Be with You. Ivor continued to work with Dusty until the late '60s, when she moved toward a more American-style soul sound. His son is Simon Raymonde of the Cocteau Twins. I Love Onions is truly odd; the a-side is clearly meant to be humorous, yet the B-side, I Want Him, is a belter, an out-and-out stormer of a track which could easily have been a big floor filler and gone on to become a hit if it had been promoted as the plug side. I’ve included it here for you. Have a listen: doesn’t that backing sound EXACTLY like the Zombies?